Apple’s “hobby” is turning into a more realized product with every update. The latest of these Apple TV bumps sees some additional content added to the available services, as well as some great features that many of us have been waiting for. AirPlay Mirroring – Previously only available on the iPad 2, you will now be able to mirror whatever is on your iPhone 4S to your Apple TV, meaning more games, more videos and simply more options. Trailers – Apple might have killed off Front Row from OS X with the introduction of Lion, but now you’ll have a better Trailers section for watching the newest and hottest on your own big screen. This comes right alongside the iOS app that Apple released today. NHL Gamecenter Live – If you’re a subscriber, you’ll now be able to watch National Hockey League matches via your Apple TV, instead of sitting in front of your computer. Wall Street Journal Live – WSJ Live has been available for the iPad for quite some time as a free app. 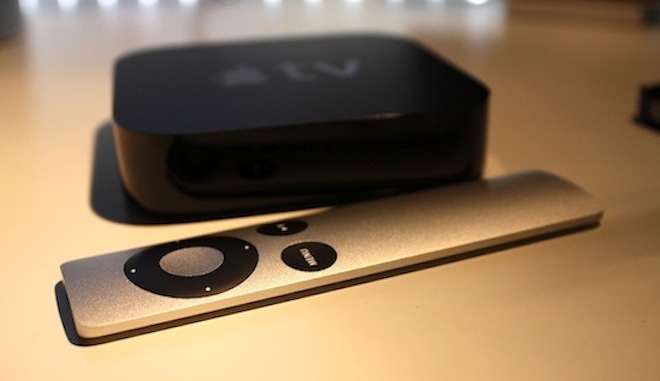 But now you’ll get the same content on your Apple TV, furthering Apple’s content offerings for the device. In all, they’re not huge additions, but they’re opening the doors to some bigger opportunities later down the road. As Apple continues to enable developers to push their apps to the big screen with AirPlay Mirroring, we’re ushering in a new era of leanback gaming and viewing. The Trailers app might very well help Apple to sell more movies via iTunes and the addition of more content? Well, you can’t really go wrong there. If you’ve not been keeping score, Apple has released iOS 5 today and we’ve done a full review here. There are also loads of updates and new releases from Apple itself for its official apps. Want to get all of the news? Make sure to check out our iOS 5 coverage right here. Read next: Google+ Hashtags now clickable! Also, real-time search enabled.